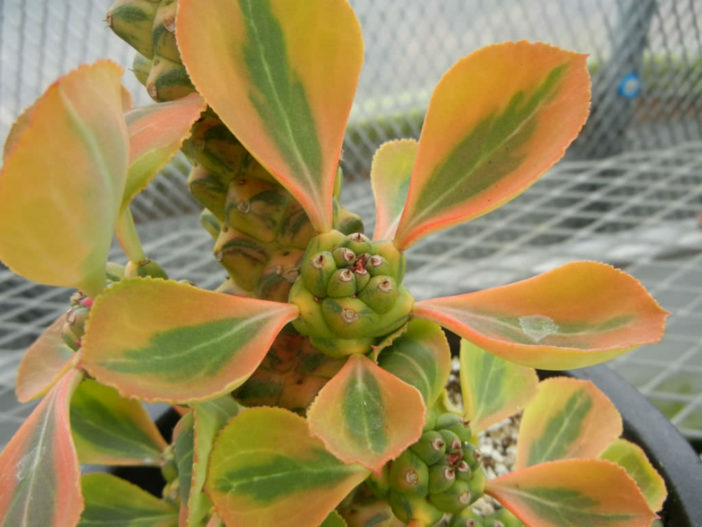 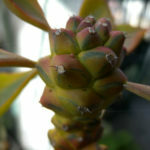 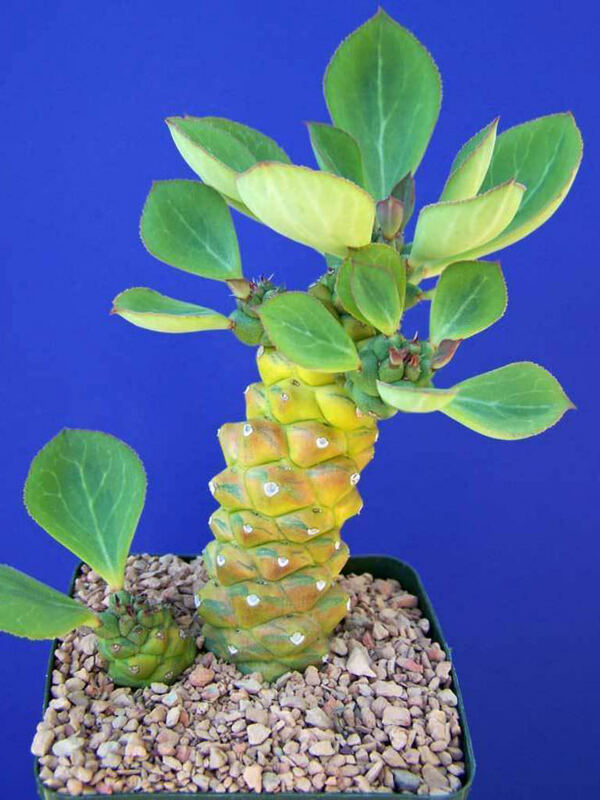 Euphorbia ritchiei ‘Variegata’ is a perennial succulent plant up to 2 feet (60 cm) tall. 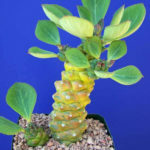 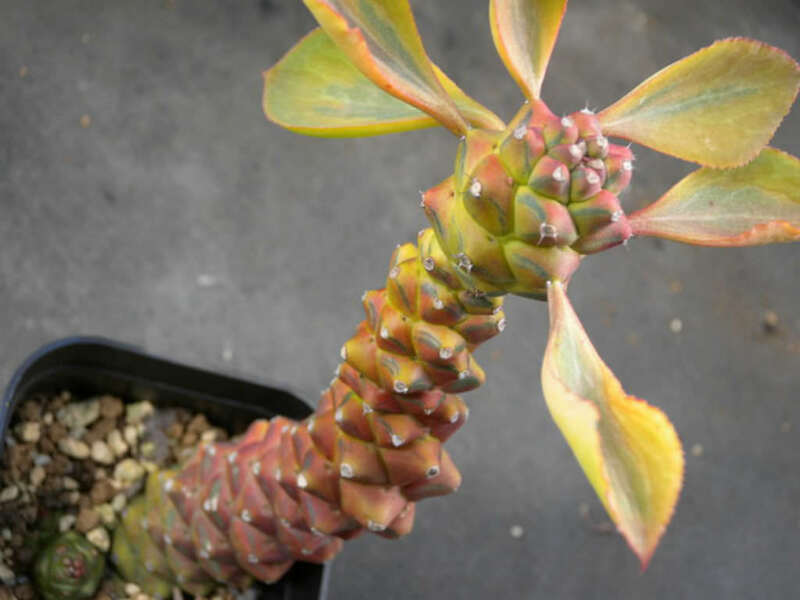 It forms short, thick, variegated, succulent stems, up to 1.2 inches (3 cm) wide, with small spines, and it offsets freely and produces large, beautifully variegated leaves. 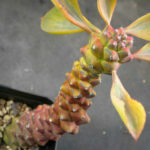 The cyathia are hot pink. 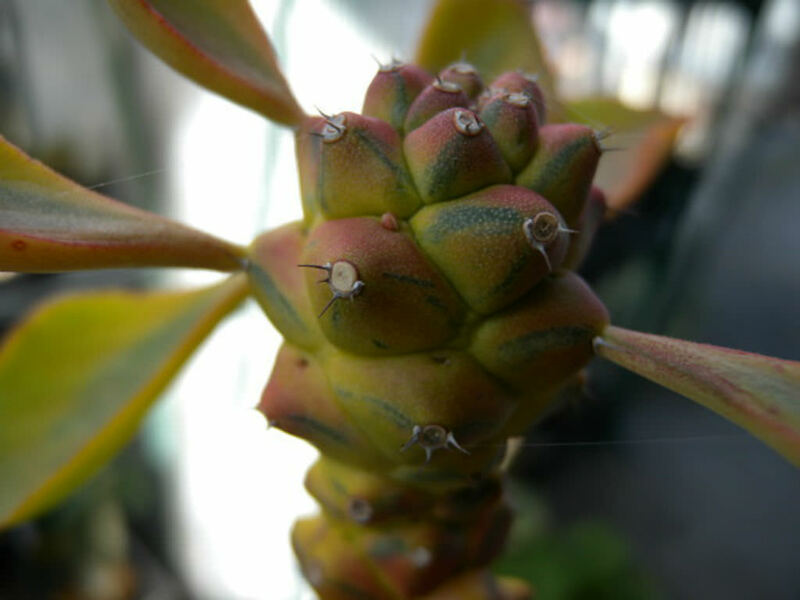 This beautiful species forms large clumps with time.